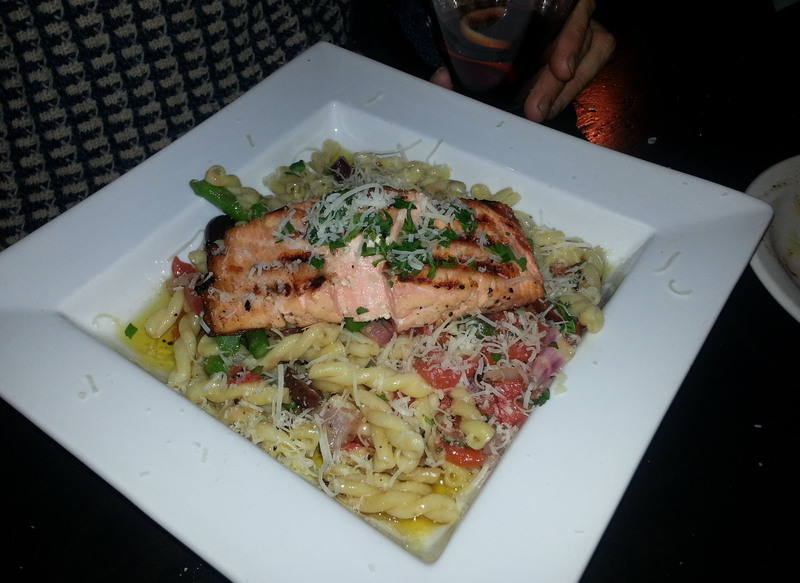 The first thing to have at Paravicini’s Italian Bistro is a reservation. We did and were seated right away. The vantage from our table clearly illustrated the wisdom of calling ahead. It’s no wonder this is a popular eatery. The menu, albeit extensive, is creative, the atmosphere is charged, and the food warrants the crowd. 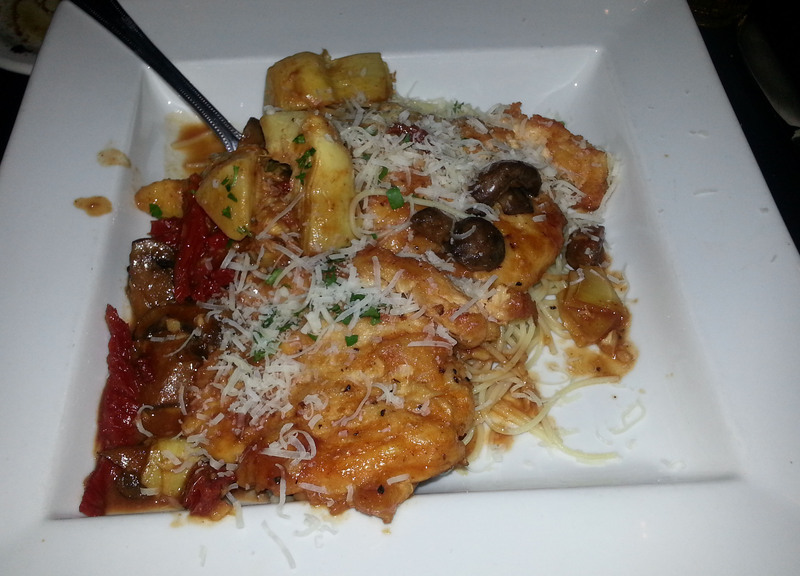 There are plenty of Italian standards: various pastas and several spins on veal and chicken preparations. The surprises come in the form of what are billed as “Paravicini Originals” and the Seafood offerings. Entrees are served with a house salad. We didn’t realize it was served family style until a bowl too large for one, but not quite big enough for four arrived at the table. The focaccia-like bread was perfect for sopping up olive oil and balsamic vinegar. The Chicken Valeria falls into the “Originals” category. Two lightly-breaded chicken breasts are cooked with lots of garlic, sun-dried tomatoes and artichoke hearts in a subtle mushroom sauce. It was all served over a bed of angel hair pasta. The Lasagna was traditional and apparently satisfying since my husband happily cleaned his plate. I didn’t sample my friend’s Grilled Salmon, but it looked delicious. 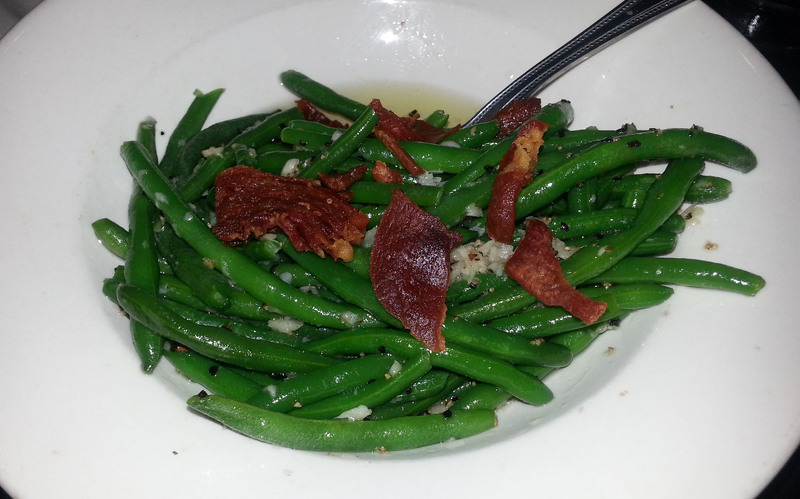 We all shared an order of Green Beans cooked al dente shimmery with olive oil and speckled with copious amounts of diced garlic and chunks of pancetta. The servings are generous, so much so that three of us each had plenty for lunch the next day. It’s possible people are still waiting for a table. The Handy Market is just that: conveniently located and, despite its compact size, well-stocked with fresh produce, an impressive meat counter and a decent selection of wine and beer. And there’s the Saturday barbecue. Every Saturday the industrial grills are loaded with a variety of meats cooked to fork-tender perfection. The aroma alone is hypnotizing. People stand in line – often a block long – to order ribs, chicken and tri-tip, but the bonus is the aroma emanating from the ballooning smoke of the grills. 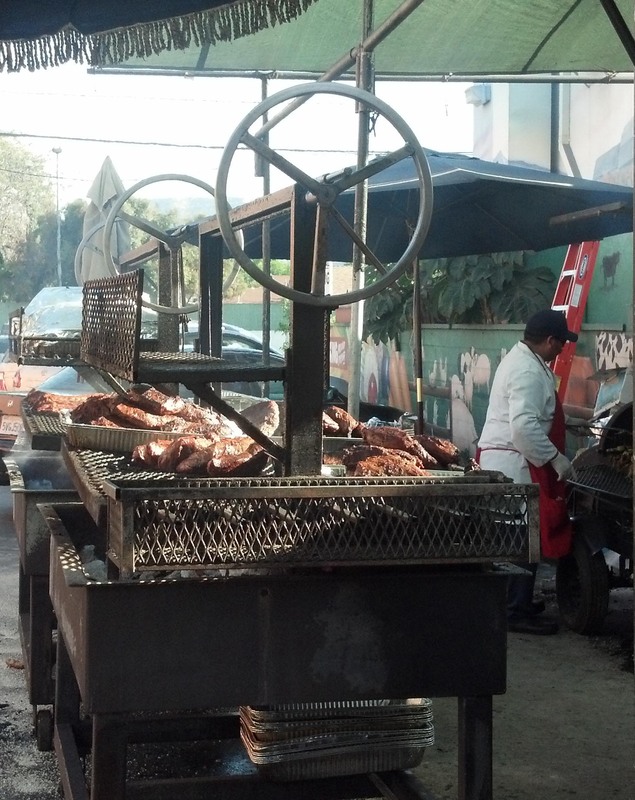 A Santa Maria-like style is used: meats are cooked over a hot, hot bed of slow burning fuel, such as mesquite. Tri-tip is a lean roast with one fatty side from which the juices flow into the meat during the cooking process. 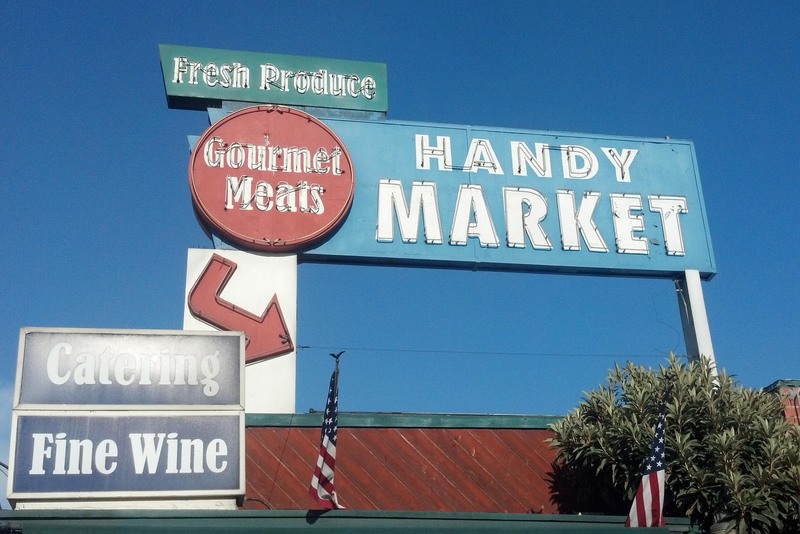 A recent visit to LA netted a trip to the Handy Market. We arrived later in the afternoon and the line was only about ten people deep. A wipe board identifies the meats, and orders are placed at the window of a trailer. The grills are set up next to it in the market’s parking lot. We ordered the trip-tip and chicken. With just the right amount of salty, smoky flavors, and optional tangy sauce, the Tri-tip is the meat of choice. Grilled corn and salads, ordered at the meat counter, are offered. Once the meats, which are sold by the pound, are wrapped in heavy duty foil there’s the option of having them slathered in a thick, rich barbecue sauce. Go for it.